The Player Development Center for Intercollegiate Basketball will be an approximately 57,000 gross square feet addition to Crisler Arena. 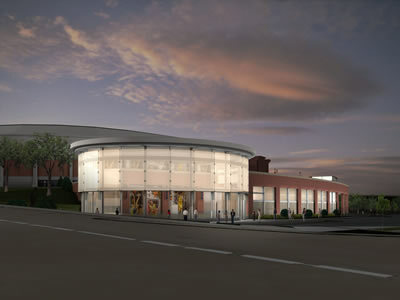 The new facility will house two new basketball practice courts as well as offer a complement of services not currently available to the men’s and women’s intercollegiate basketball teams. The project will include team locker areas, strength and conditioning space, athletic medicine space, and coaching and staff offices.